Custom Design Partners works with a multi-branch mortgage firm in Florida. Our client was lacking acquiring clients online, so we customized a strategy to increase the amount of organic clicks to their website. Our first priority was optimizing the existing website to increase client conversions by adding more call to action functions throughout the webpage. Our team then researched extensively the competition and analyzed their tactics. Considering the lack of competition in Google search, we recommended Search Engine Optimization (SEO) for our clients. 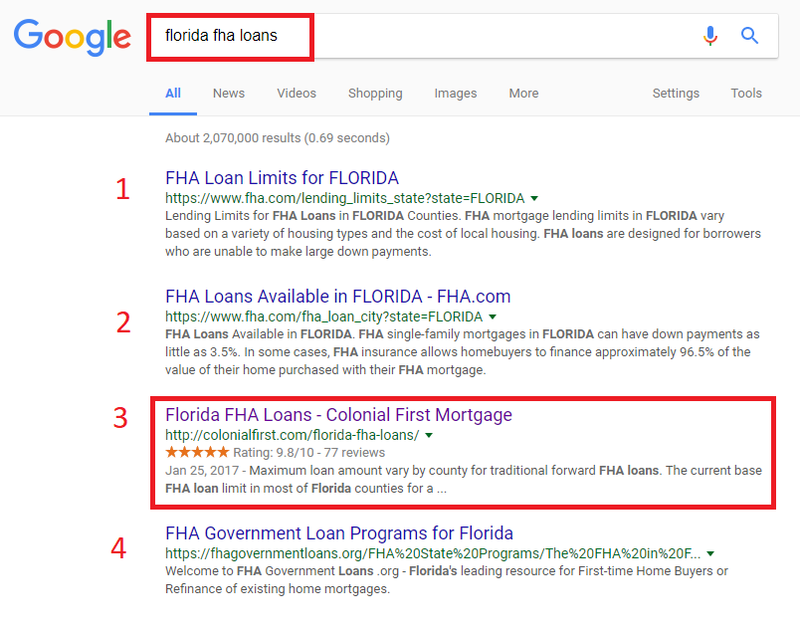 Our goal was to rank a very valuable keyword to the top 3 results on Google. Reviewing the image shows results after 3 months of search engine optimization. Our team ranked our client’s landing page page #3 in a highly competitive industry. 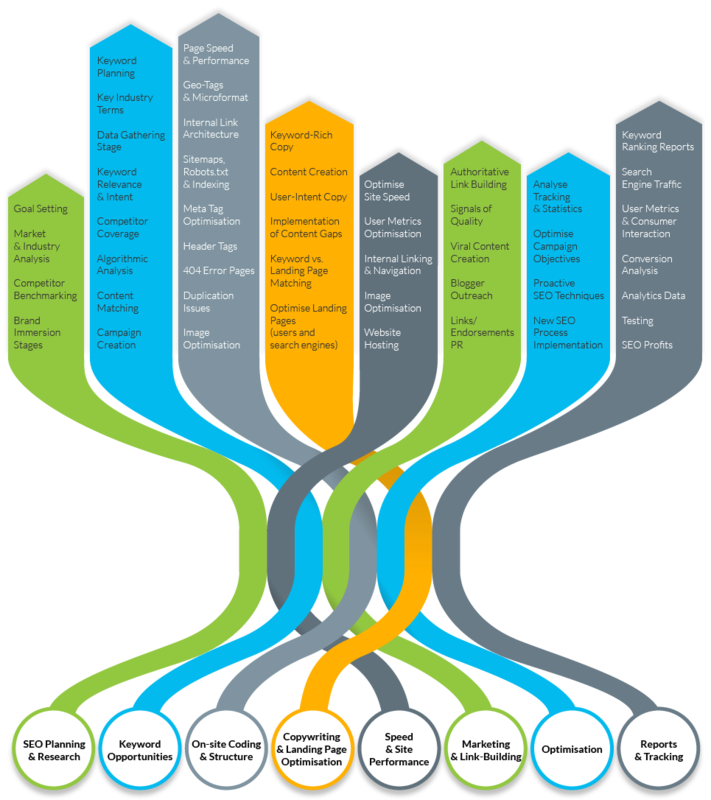 Website traffic increased 80% and client acquisition doubled. Colonial Mortgages has been a client of Custom Design Partners for 3 years and continues to be to this day. SEO was a clear success for our clients, so we continued a wide array of projects- social media ads, online reputation management and remarketing to boost their business even further.